I had an idea how to create new facetemplates. 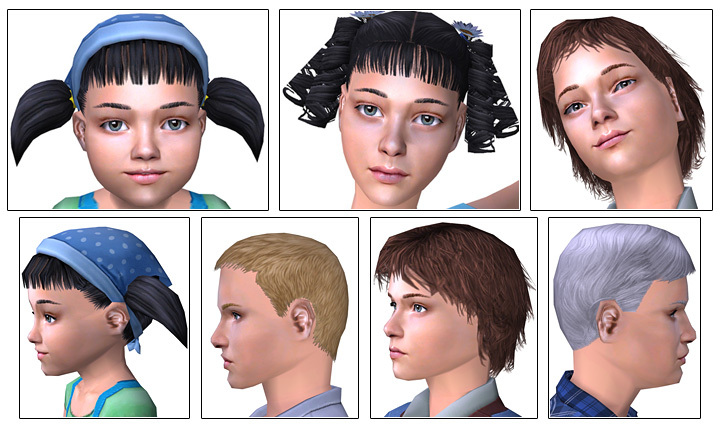 Because in bodyshop the options are restricted, why not use a 3d program to edit the faces? So I have altered the faces in Milkshape by making the whole face wider and some little corrections. In Bodyshop I made the fine adjustments. 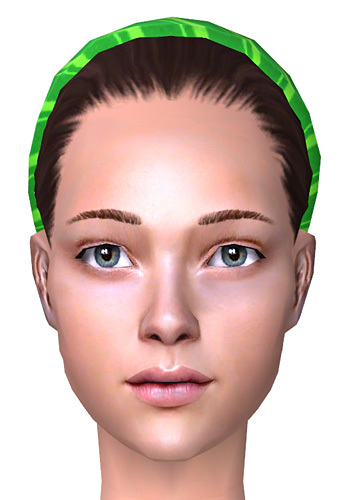 I have started with the first facefile (01 - heart). Now it looks more realistic. 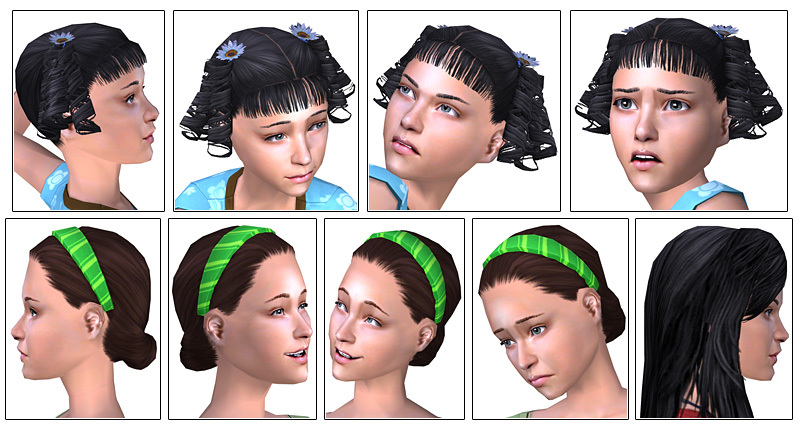 Here is a comparison between the original facefile (right) and my altered facefile (left). 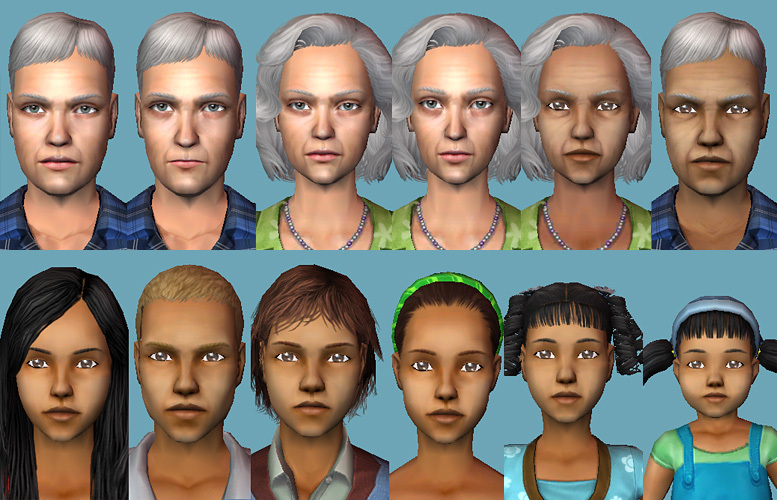 Also you can see, how the facefile looks with a maxis skin. 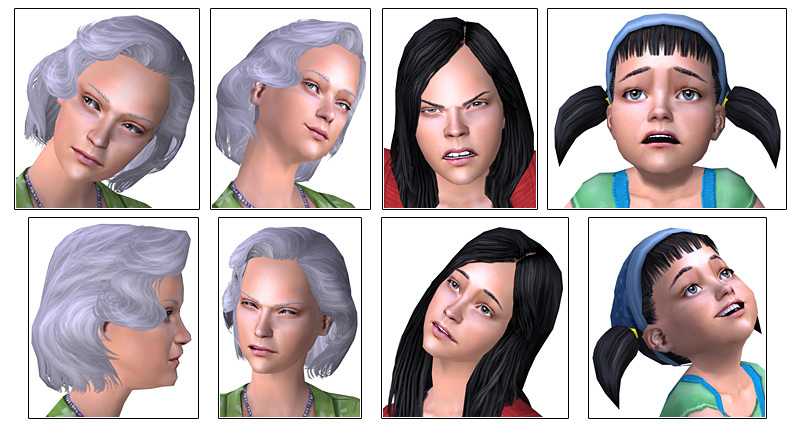 Look at the attached images to see the faces with diffrent emotions. 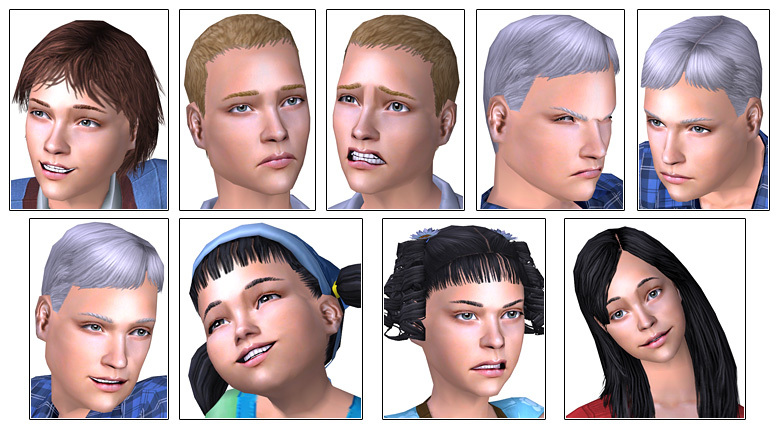 When you create a new Sim you can choose from precast faces. 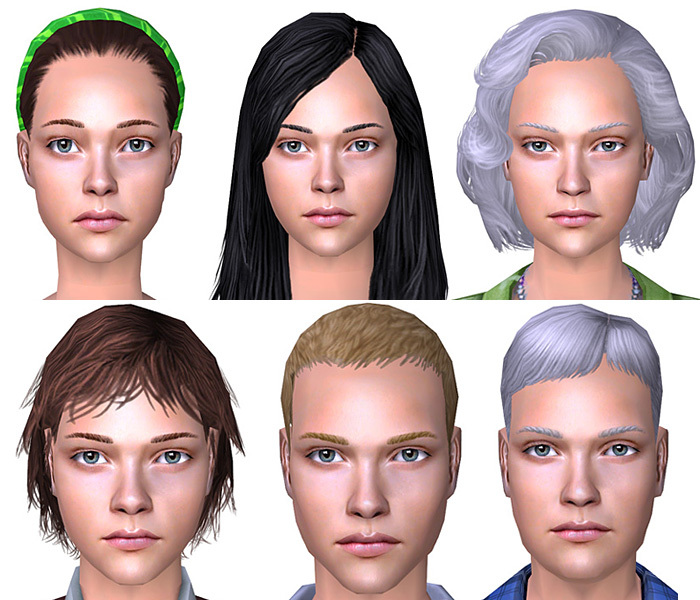 If you put my facetemplate (8 files - one for each age) in your Download folder the first preacst is overridden by mine. Deinstall them by removing the files from your Downloads folder. 2650 people have said thanks to oepu for this download. 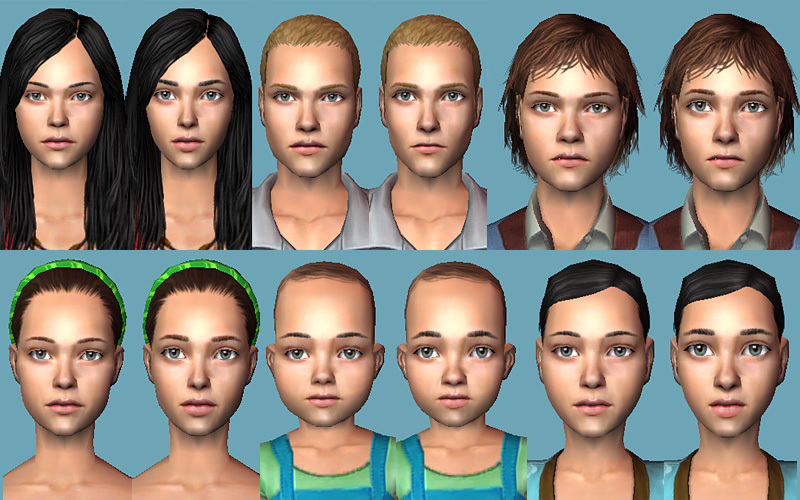 Full Set of Default Face Replacement Templates!